I missed last week's meal planner. It was a weird week with the news that my tumour was cancerous so unsurprisingly planning went out the window (almost like the way of the diet!) However the tail end of the week saw me eating a lot of salad and I even made a peach and sweet chilli salsa, which is the most creative I've been in the kitchen for a long time! We've a family meal planned over at Mum and Dad's and I already know they are cooking roast beef with all the trimmings, delicious! I think I'm going to taking a taxi over so I can indulge! I'm going to treat myself to some champagne and will partake in port with cheese and biscuits! Sod it, you only live once! 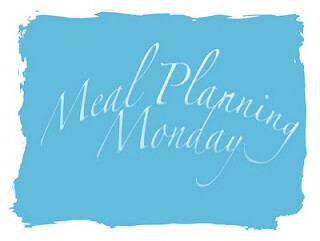 Don't forget to check out other meal plans over at Home with Mrs M! Sorry to hear your news. Lady, I love your plan this week and I love the combination of champagne, cheese and port! Sod the cancer, enjoy your food. Huge hugs and can I have some camembert please? taking a normal protein shake? they really get washed? . Exactly where can I purchase faux leather leggings? Does anyone have great low fat or perhaps fat watcher dessert recipes? as I would like to diet to make the medicine more effective. artificial sweeteners because they give me personally headaches. thanks to anyone that answers :). Have you ever been to Gulfstream Academy? It's 3 o'clock in the morning.....So what?